University of Karachi announced Examination Schedule for form submitting details and dates session 2013. 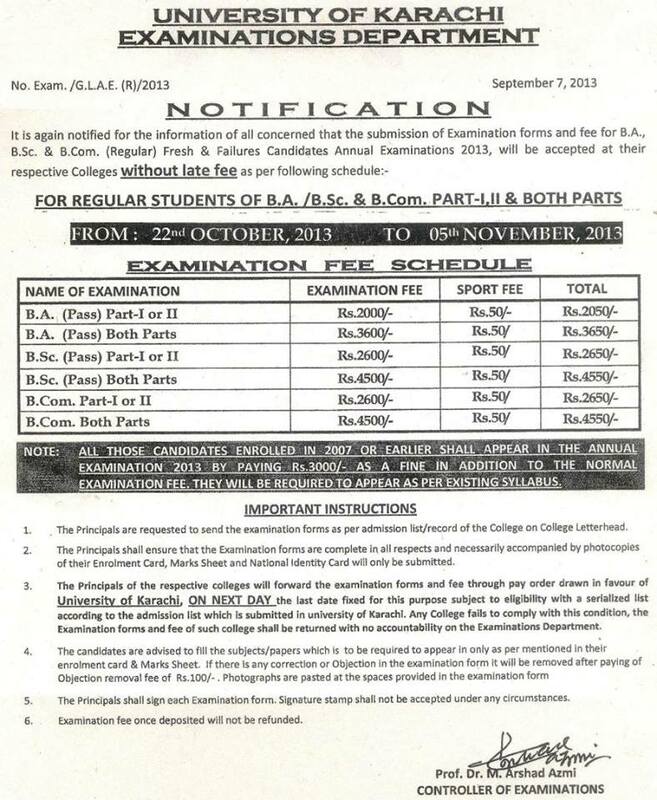 University of Karachi Examination department announced Examination Fee schedule of BA, B.com and Bsc session 2013. It is notice from university of Karachi for BA, B.com and Bsc students of all concerned that the submission of examination forms and fee for BA, B.com and Bsc regular and fresh and failure candidates’ annual examination 2013, will be accepted to their respective colleges without late fee as per following schedule.